CarShop employee, Mark Crowther of Leighton Buzzard, is working on his final preparations for a bike-ride like no other. This will be a life-changing challenge that will see Mark raising money for Children's Cancer charities, CLIC Sargent, and Kids Cancer Charity. All that is standing between Mark and the end is a punishing 1,000 miles. 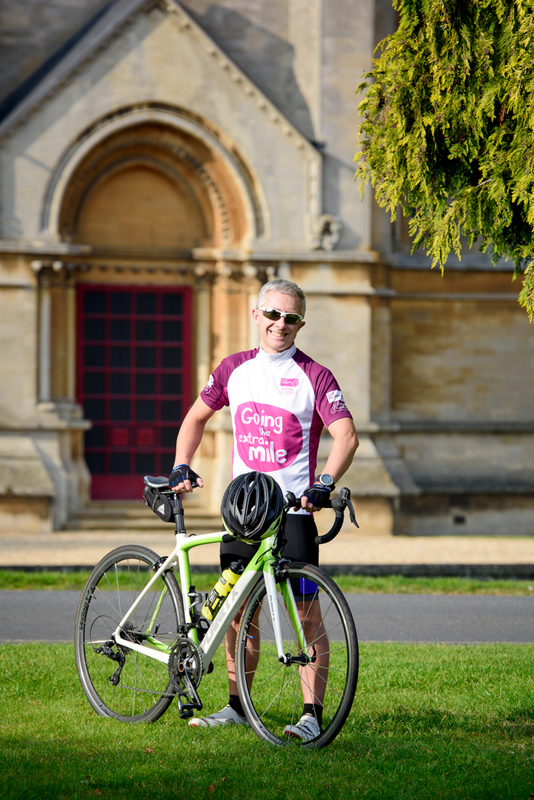 A devout cricket fan, Mark’s aim is to cycle to 18 cricket grounds in 16 days that will start in Durham, and will finish in London making trips to the Oval and the home of cricket - Lords Cricket Ground. This tremendous effort was born out of a tragedy very close to Mark; a tragedy which created a desire to help children across the country battling cancer. Sadly, close friends of Mark lost their 13 year old daughter to a rare condition known as Ewings Sarcoma. After standing brave against the illness for a number of years, Ziggy unfortunately lost her battle in 2007. But despite this, Ziggy received a tremendous amount of support along the way CLIC Sargent, and Kids Cancer Charity. It’s because of the ongoing support provided to Ziggy and her family that Mark has decided to embark on this epic journey. Mark has already had a remarkable level of support from friends, family, local hotels, gyms and the cricket grounds themselves, but ultimately wants to raise £5,000 for the charities. With the full support of his friends and family, his CarShop colleagues, as well as the collection of cricket memorabilia from each of his cricket ground stops, Mark is well on his to raising a considerable amount of money. Confirmed cricket memorabilia will include a full sized bat signed by Alistair Cook, Stuart Broad and the rest of the England cricket team, and also batting gloves generously donated by England cricketer, Moeen Ali. But Mark doesn’t want to stop the donations just there though as he is looking for more people or even businesses to show their support and sponsor him via his Virgin Money Giving page or by donating further prizes. Mark kicks off his charity ride in Durham on Friday 29th July 2016. Keep track of Mark’s progress via CarShop’s Facebook page and also CarShop’s Twitter: @CarShopUK.